Looking for the kind of destination that will make even your most well-travelled friend perk their ears up in curiosity? If you're after sunny days, swaying palms, and the gentle crash of waves outside your window, why not try a holiday to Mauritius? Mauritius, an island nation off the coast of southeast Africa, is just as beautiful as some of its neighbours in the Indian Ocean (think Zanzibar, Seychelles, or the Maldives). While it's one of the smallest nations in the world by land, that doesn't mean it won't blow you away and leave you with plenty to do for days. For an island nation, of course, one of the highlights of any trip to Mauritius is surely its beaches; no matter where you stay, there's guaranteed to be a stunning beach nearby your Mauritius hotel. This soft stretch of white sand in the north of Mauritius is ideal for families and those looking to paddle, as the water remains fairly calm here all year round. It's an ideal spot for snorkelling, or, for the even more adventurous, a great place to catch a boat for deep-sea fishing. With plenty of facilities (including lots of fantastic restaurants serving fresh seafood) and some of the nicest sand in Mauritius, Trou aux Biches is often observed as the best beach in the country. Mont Choosy, also found in the north, is the choice for many local Mauritians, who head there on weekends. 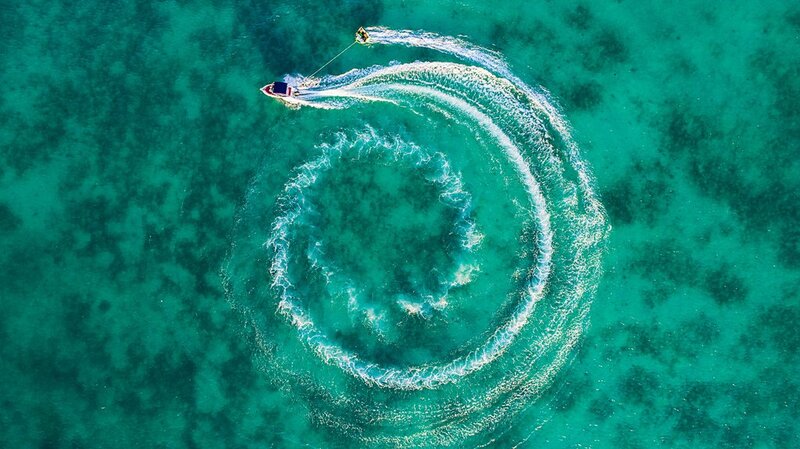 During the week, however, it is an ideal place to relax and partake in some water sports; with three kilometres of sand, there's plenty of space for everyone. Grand Baie beach isn't the best place for sunbathing or swimming, as it's where many boats dock, but it is a great place to base yourself if you'd like easy access to the rest of the island and its beaches. Grand Baie is where you'll find many activities, including skydiving or a boat trip to the Northern Islands. It's for those looking for a livelier spot to see and be seen. Found on the east coast of Mauritius, this beach is surely one of the most beautiful beaches on the island. With ten kilometres of sand to explore, this is one of those beaches that leaves you speechless; think turquoise water, endless blue sky, and all the velvety white sand you could ever want. The beaches of Le Morne are found on the west coast of the Le Morne peninsula, and these ones are definitely worth a visit; not only do you have gorgeous beaches everywhere you look, you have the backdrop of Le Morne mountain to really wow you. The public Le Morne beach is quite popular for wind and kitesurfing, but even non-surfers will surely fall in love with this unbelievably stunning part of Mauritius. There are plenty of other amazing beaches on Mauritius: Blue Bay, Tamarin, Flic en Flac, Île aux Cerfs, Gris Gris, St. Félix, and so many more. 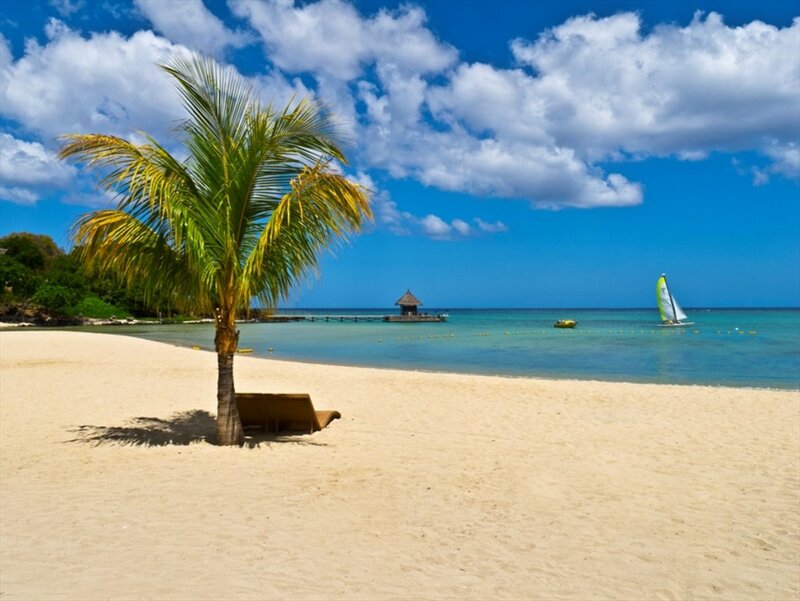 Whether you're after sunbathing, relaxing, water sports, family fun, or a romantic holiday, the beaches of Mauritius are sure to make your holiday one of the best yet. Book a stay in a qualifying rate plan displaying "Honeymoon Special - Marriage Certification Required" when you click on the "Sale!" tag at least 35 days in advance for travel now - October 31, 2017, and receive 30% off the rate, discount reflected at time of booking. Full details at check-in. Offer is only valid for honeymooners traveling within 1 year of their wedding date. Marriage documentation must be presented for each room booked on the honeymoon special rate, and must be presented to the hotel at check-in. If adequate marriage documentation is not presented at check-in, the hotel reserves the right to amend the rate. Adequate documentation includes official marriage certificate. Offer is not valid with groups/conventions and may not be combined with other promotional offers. Other restrictions may apply. 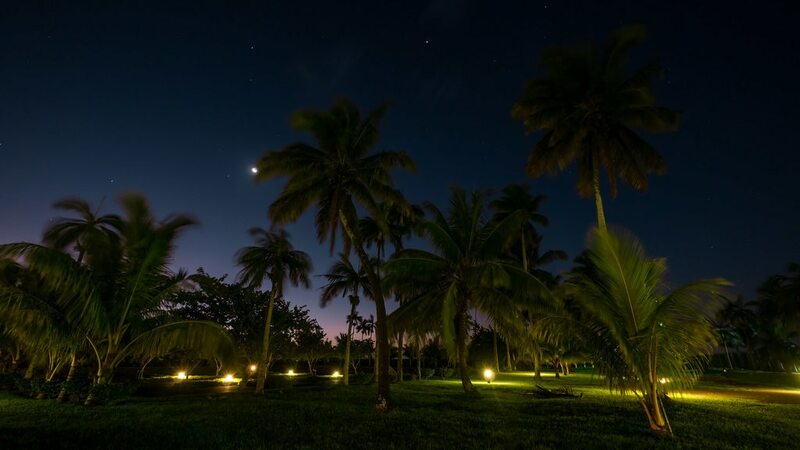 Located in Wolmar, this beachfront resort is next to a golf course, 2.1 mi (3.3 km) from Flic-en-Flac Beach, and within 6 mi (10 km) of Cascavelle Shopping Mall and Casela World of Adventures. Casela Nature and Leisure Park is 5.8 mi (9.3 km) away. Beachfront resort and spa inspired by Feng-Shui philosophy, situated on Mauritius’ northeast coast, 10 km from Grand Baie. The 198 guestrooms incorporate natural earth shades and have sea-view balconies; all come with satellite TV and en-suite bathrooms. Guests can enjoy entertainment day and night, fine dining, and free water sports and activities; kids have their own mini-club. Modern resort situated by a turquoise lagoon and white sand beaches on Mauritius’ southeast coast, 15 km from the airport. The 72 air-conditioned guestrooms feature balconies, colour televisions and showers; an All-Inclusive rate is offered. Guests can sip cocktails by the pool, snorkel in the coral reef, and enjoy themed buffets, live music and entertainment. Must book the Nirvana Room (Sea View) rate category to receive benefits. Full details at check-in. Taxes and gratuity may not be included. Offer subject to availability. Other restrictions may apply. Golf resort set in a 150-hectare nature reserve, situated by a 2-kilometre white-sand beach on the island’s east coast. Guestrooms complement their surroundings with natural-toned decor, dark-wood furnishings and balconies with sea views. The resort boasts two 18-hole championship courses, and guests can refuel at the 12 bars and restaurants or relax in the spa. Book a stay in a qualifying rate plan displaying the "Honeymoon offer - 30% discount" deal tag at least 35 days in advance for travel now - October 31, 2017, and receive 30% off the rate, reflected in the rate displayed at the time of booking. Set on the peaceful south-eastern coast on a private peninsular, this Mauritian resort is surrounded by three sandy beaches. Guestrooms have sea-facing balconies with tiled floors and locally-crafted wooden furnishings; All-Inclusive rate offered. Free activities include windsurfing, waterskiing, sailing, tennis, a nine-hole golf course, and live music every night. Offering direct access to the beach, this Wolmar resort is in a shopping district, 1.3 mi (2 km) from Flic-en-Flac Beach, and within 6 mi (10 km) of Cascavelle Shopping Mall and Casela World of Adventures. Tamarina Golf Club and Casela Nature and Leisure Park are also within 9 mi (15 km).